Divine Princess - Fortune Telling :: sidetaker. I have over 17 year’s professional experience working with various tools to get into the root of your situation. I specialise in the art of Shell Divination, Crystal Scrying and Tarot reading. As a gifted Medium, I channel Spirits and voices in all my readings. I also use Spirit Guides and Angel Cards. Are you seeking answers about your finance, job, family issues or need answers about your relationship? I’ve helped countless people to obtain what they desire the most. I am a true and sincere Psychic and an expert in making connections with Spirits. I can see all situations, people, places and times. I can connect with the deeper insights of your partner and let you know what he/she is thinking and what intentions the person has towards you. I clearly can see the present, past and future. And certainly can show you the most intimate thoughts and desires of your love one and can help you bringing new romance and love to your life. You are reading this for a reason. I can help you. Try a reading Today! 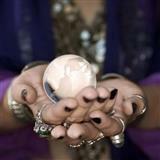 I'm a Licensed and Certified Psychic Reader and Adviser. I am a spirit channeler, working with energies. I have helped so many people with issues around them, by giving them compassion and an understanding to the situation, helping people moves into the right direction, giving not only spiritual but practical advises as well. I've listen and do to what she suggested and i could see the result in the short time. Thank you Divine Princess! Good session!